The first major site work will take place in about the second week of May 2011. This is the first large-scale site visit since the deployment of the test tiles last autumn. 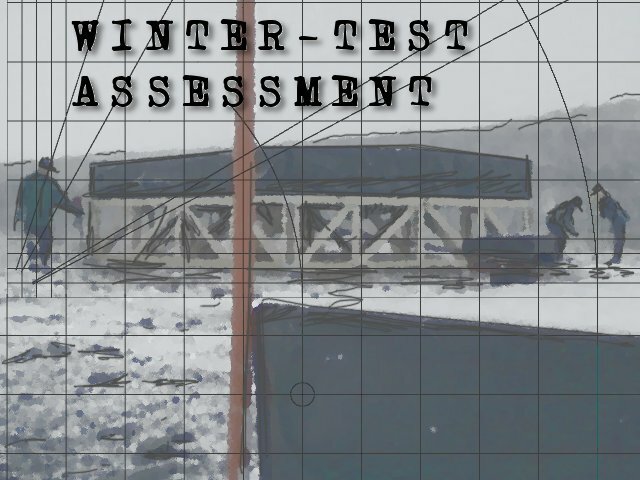 Although there have been numerous inspections over winter, they have been passive only and this work in May will be the first time that we interact with the site. The first task of this site work will be to clear the snow. At present (02-May-2011) there is still 30 to 40 centimetres of snow over the HBA area. In order to get sufficient ground thaw, this snow has to be moved so that sunlight can strike the dark ground directly and thus cause surface warming. Once that happens, then not only will it permit the ground frost to thaw, but it will also limit the impact of fresh snowfalls which, although uncommon, are still possible in the sub-zero temperatures. We should note that we are getting close to the midnight sun season, so that means 24 hours of sunshine per day (clouds permitting). The second part of the May site works will be the evaluation of the test tiles. These two tiles were deployed last year under snowy conditions. In order to limit the amount of drift snow that banks up on or against the antennas, the KAIRA project plans to put the high-frequency tiles on a raised platform, made from a series of frames. By raising the tiles, they will be subjected to greater wind speeds and will avoid the immediate ground boundary layer. To test this, and various other concepts, two test tiles were placed on the site. They have been monitored over the winter and now is the time to give them a full inspection to examine them for water incursion, ice packing, cold damage, ice shift damage, cracking and deformation and lateral displacement. Once that has been done, there will be a destructive test performed on the tile. Although the tiles are well understood from a theoretical point of view, it remains to be seen how they fare when faced with real punishment. Thus, a sequence of destructive tests will be carried out to evaluate their ability to withstand shocks, pressures and various other types of duress that could be applied by severe snowfall, ice build-up or other forms of physical damage. 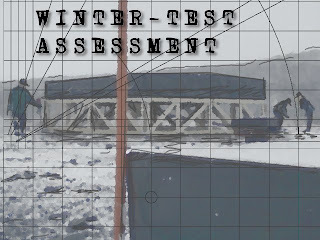 At the conclusion of these tests, the site will be cleared and left to thaw out in the spring sunshine. Throughout the entire process, there will an extensive set of photographs taken, and numerous reports made here on the KAIRA web log.